In today's competitive marketplace, building your business, growing the client roster and developing your professional reputation should be an integral part of your business plan. Networking is still the most successful way to build quality connections however social media has changed the way that we network. We've gone from "you should have a social presence" to it being an absolute necessity. Having an up-to-date website and being active on social media (especially LinkedIn) are leading factors for advisors who log a high number of face-to-face meetings. 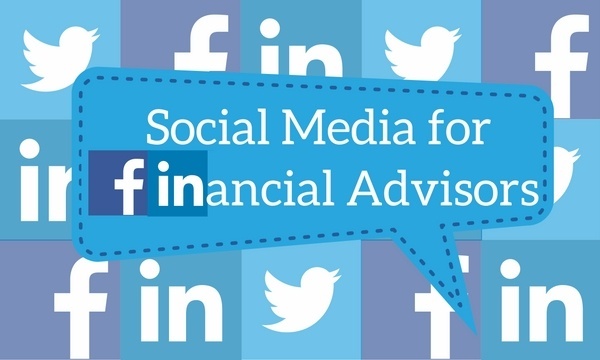 We've compiled five of our top takeaways when it comes to social media for financial advisors. We want to get started by telling you to Jump Right In! We know you've heard it before, but YOU NEED LINKEDIN. Instead of going into why you need to set up your accounts, we're going to advise you to jump right in, stop putting it off and start growing your business! Think of LinkedIn as your "Un-Tapped Book of Business"- LinkedIn has taken over the networking game in the last few years. While it's still important to network face-to-face, LinkedIn has allowed you to take it a step further and network 24/7 from anywhere on almost any device. There are millions of prospects right at your fingertips. We have heard stories of advisors whose close rates have skyrocketed when they swapped out their traditional voicemails for LinkedIn messages. LinkedIn has tools to help members become more successful in their business. One being the Sales Navigator that helps professionals find and build relationships with prospects and customers through social selling. Sales Navigator boasts stats such as 45% more opportunities created and a 51% higher likelihood at achieving a quota when using the platform. If you work with a specific niche of clients, LinkedIn provides a great opportunity for you to join groups related to that niche as well. Share, Share, Share- Having a LinkedIn profile and creating connections is the first step to building your business. The next step is sharing content and starting conversations. Doing this will encourage others to view your pages and spread your message and your name. Think of each social page or network group as a marketing platform for you to educate clients on the work that you do. If the thought of creating and generating content seems daunting to you, we have some great solutions! LifeHappens was created just for this reason; they want financial advisors to use their videos, infographics and social posts to spread the message on the importance of life insurance. We also want you to share our content; we post industry content weekly that is customer focused for you to share. Remember to only post content that is going to resonate with your clients, and geared specifically toward the network group. 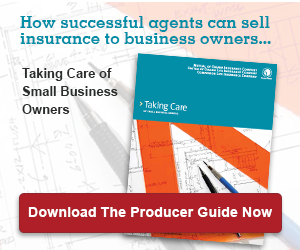 Your Broker Dealer may be another good source of client approved content as well. Rapid Response- If a customer leaves you a voicemail expressing interest in your services, would you put them on the back burner and forget to call them back? No, you would most likely call the person back right away. This same rule applies to LinkedIn messages. Smart phones, tablets and laptops have allowed for us to be connected from anywhere and stay connected almost all the time. This availability has created a community of fast response so be sure to check your messages daily and respond in a timely manner. Take Pride in Your Pages- LinkedIn profiles are pretty straight forward to create as it tells you where to put in what information and follows a similar format of a resume. Unlike a resume you can add more information and make your profile more personalized. For instance, instead of a headshot with a boring backdrop try something more relaxed, yet still professional, like a photo in your office or by your computer. Studies show that the classic headshot is working its way out and these "power shots" are becoming the norm. Keeping your page up to date is also extremely important. Share content, update your profile information and summary so potential clients know what you do and how you can help them. Think Outside the Box- One takeaway that surprised us at the LIMRA conference was that there is a large number of advisors using videos to market to their clients, and they are creating them themselves! Although we know this is not attainable for everyone, it does pose the option to think outside the box. We heard of advisors using sites like goanimate.com, wevideo.com, fiverr.com and advisorstream.com to edit or generate videos. Social media is not generic and it is always changing, so take stock of what your clients respond to best and generate content or messages with that in mind. "Millennials drive 40% of the financial conversation on Facebook"
Do you use social media in your practice? What questions do you have surrounding social media?